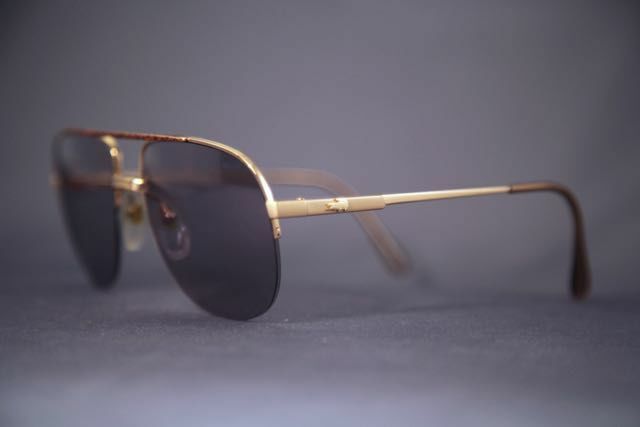 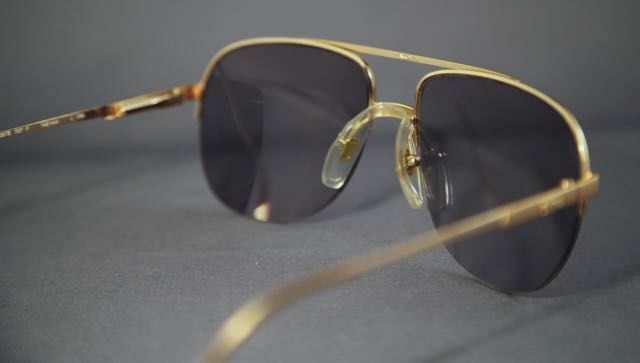 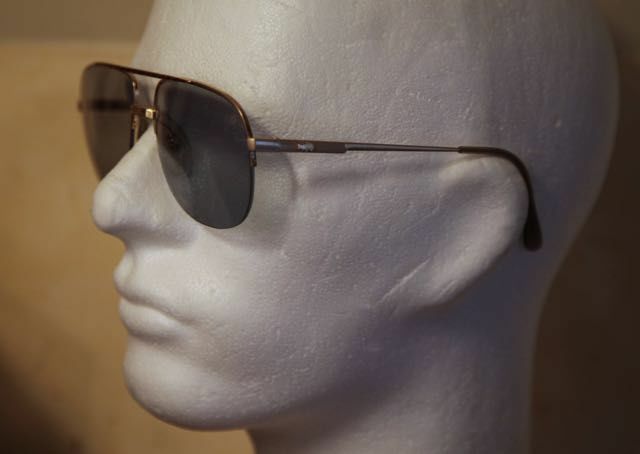 Amazing aviator sunglasses by Lacoste. 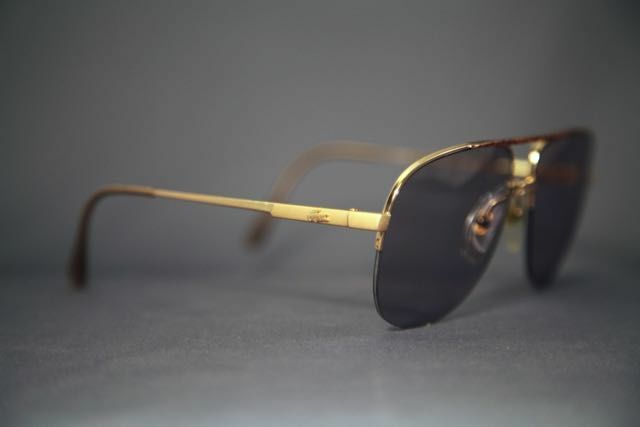 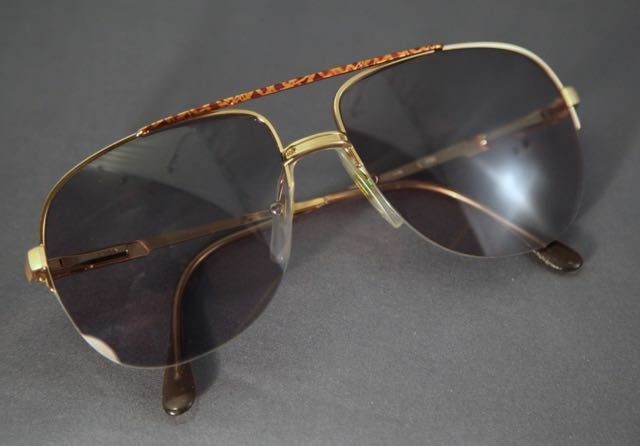 Model 707 F. Golden metal frame with leopard pattern. 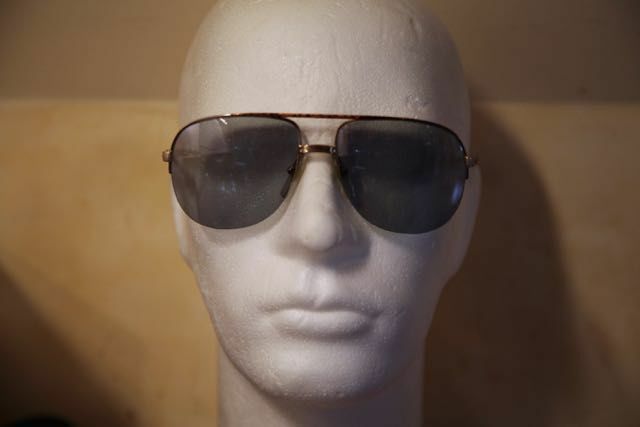 Vintage frame from the 80s made in France with new grey lenses of today. 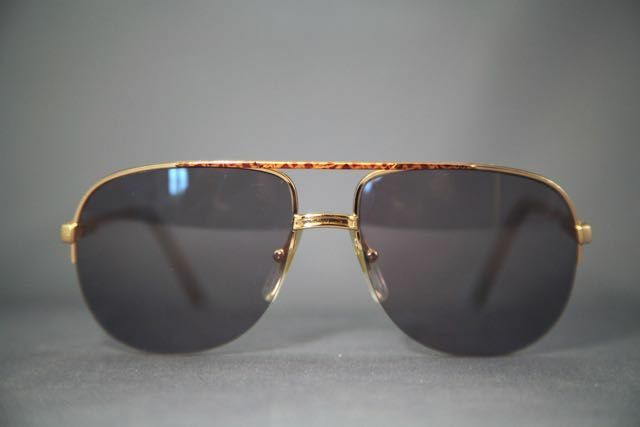 Could fit to women or men.